15 Pretty in Pink Quinceanera Dresses You'll want to Buy ASAP! Looking for your dream dress and can’t choose the right color? Look no more, go for Pretty in Pink Quinceanera dresses!! 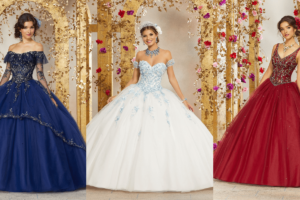 If you are sweet, romantic and playful then a sleeping beauty themed quinceanera dress might be perfect for you. If you’re a little less sweet and a bit more on the edgy side opt for a brighter trendy pink. Either way nothing looks classier than pink roses or a pink quince dress. There’s a perfect shade of pink for every personality… so every girl can be sure to look pretty in any dress. Which is why we HAD TO share the glamourous collections that have gowns in this particular and ever-popular tone available for purchase! Still not too sure?! Channel your inner girly-girl and let these fabulous pink Quince dresses inspire you! Morilee has added to their most popular collections and they sure did save the best for last! With more lace and fabulous beading complimenting the dresses, anybody will fall in love. You’ll have to see them for yourself. Click to purchase from Morilee.com! Click to purchase dress from Morilee! Click here to purchase dress from Morilee! ¡Click to purchase from Quincedresses.com! Click to purchase from Quincedresses.com! *Featured image is property of Ragazza. Which Quince dress was your favorite from all the collections?